← Brokerage Firms are NOT Created Equal! Foreign real estate investors have plenty to consider when they are purchasing property in the United States. One of the biggest considerations to be aware of, and one that raises the most questions, is the Foreign Investment in Real Property Tax Act of 1980, also known as FIRPTA. FIRPTA is a tax law created by the United States internal Revenue Service that requires 10% of the sale price to be remitted to the IRS if a foreign real estate seller is involved in the transaction. This is important for all real estate investors to understand, even if they are not yet U.S. property owners, because when the time comes that you want to sell your property, there are several things you need to be aware of in order for the closing transaction to take place. FIRPTA requires any person acquiring real estate in the U.S. to collect a withholding tax equal to 10% of the gross sale price of the property in question if the seller is a foreign real estate seller or investor. In order to be considered a “foreign person,” the seller must be either a nonresident alien individual, a foreign corporation not treated as a domestic corporation, or a foreign partnership, trust or estate. The funds must be forwarded to the IRS within 20 days of closing. The paperwork, filing and actual remittance of funds can be handled by the escrow agency that is used in the property transaction. However, in order for the funds to be properly forwarded, both the buyer and seller must have a United States taxpayer identification number. This is significant because not all foreign real estate investors have a United States taxpayer ID and obtaining one is not a quick process. If you do purchase property in the United States with intent to sell, you should begin the process of getting your taxpayer ID number as soon as possible. If you intend to purchase property in the United States you should understand that in addition to obtaining a tax identification number or taxpayer ID number, you will be required to file tax returns when you sell the property in order to comply with FIRPTA. Although the buyer is responsible for remitting the FIRPTA payment to the IRS, the foreign real estate investor must also file a U.S. tax return. The withholding agent is required to report the details of the transaction to the IRS, the buyer will report the purchase to the IRS and the seller needs to report the sale to the IRS as well. In order to do this, both the buyer and the foreign real estate seller must have a U.S. identification number or taxpayer ID. Significant penalties can result for non-compliance or tax avoidance. *This article is for informational purposes only and is not intended as legal or tax advice. 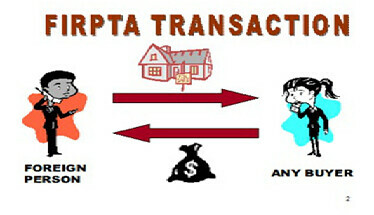 Please consult your attorney or accountant to understand how FIRPTA applies to your situation. Posted on August 2, 2013, in Title and tagged Bonita Springs Title Company, Cape Coral Title Company, Estero Title Company, FIRPTA, Fort Myers, Fort Myers Title Company, IRS, Jennifer Ferri, Property Guiding, SWFL Real Estate, Title Insurance, Title Junction, Title Work. Bookmark the permalink. Leave a comment.